BASOC covers the Badenoch & Strathspey area, and is centred on Aviemore. We are a small friendly club that welcomes new members of any age or ability. We have access to some of the best orienteering areas in the UK and use them for weekly training sessions and events through the year. Through the provision of opportunities (training and competition) for people to orienteer locally, BASOC will build interest in the sport in the area. 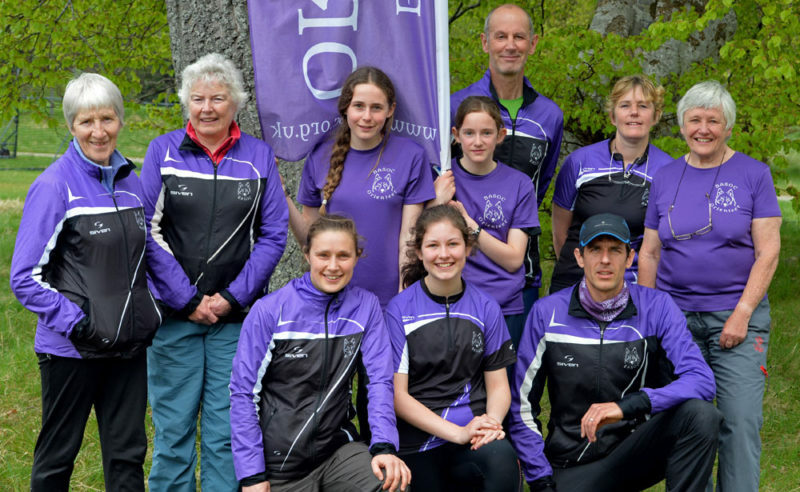 BASOC will support orienteering in Scotland by hosting high quality events attractive to all and by encouraging club members to experience orienteering throughout the country - and beyond. Why not come and join us? Provide regular local events and activities that encourage friendly participation. Help people learn and enjoy the sport of orienteering at all levels. Host high quality larger events that attract orienteers from all over Scotland and further afield. The Highland WOLF (Weekend of Orienteering in Lovely Forests), held in September, is an example of this. It made it’s first appearance in 2013 and has gone from strength to strength. Develop and maintain a collection of maps covering some of the finest orienteering terrain in the UK. This also includes urban maps of Aviemore, Kincraig, Kingussie, Nethy Bridge and Granton-on-Spey. The National Orienteering Centre is based at Glenmore Lodge, and they also have a range of maps that we have access to. Work with our neighbouring orienteering clubs to increase the number of opportunities to orienteer locally, and also share resources and skills. We recently held some joint skill sessions for planners and organisers, these were with the Inverness & Moravian orienteering clubs. BASOC has also worked with the local community in various ways. We have produced orienteering maps of every primary and secondary school in our area. A recent project was working with the Laggan Forest Trust to establish a semi-permanent orienteering course based at Wolftrax, near Laggan. BASOC was formed in June 2000 to promote the sport of orienteering in the Badenoch & Strathspey area. The club’s area was enlarged in 2003 when we merged with LOCHOC, the Lochaber club and we now have members in various far-flung parts of the northwest of Scotland. Where does the Wolf come from? Scottish history has its fair share of very unpleasant characters. One of the least pleasant of the lot was Alexander Stewart, the 1st Earl of Buchan, more commonly known as the Wolf of Badenoch. The times in which he lived were barbarous, but even by their standards he stood out, and was feared over a considerable distance. In the 14th century, the Wolf of Badenoch terrorised the Highlands, destroying local towns, cathedrals and abbeys. He mounted his raids from his lair at Lochindorb Castle which is a short drive from Keppernach, the venue for Day 1 of Highland 2015. Today the castle is an atmospheric and dramatic spot in the middle of a small loch up in the hills. You do not need to be a member of a club to participate in orienteering, but joining Badenoch & Strathspey Orienteering Club brings many benefits. We have a range of T-shirts, Jackets, O-tops, Buffs and Hoodies. What makes BASOC work and who does what? All volunteer run organisations have a number of people who help to keep the club functioning. In BASOC we have four named and elected committee posts - Chair, Secretary, Treasurer and Junior Rep. There are other elected committee members who don't necessarily have specific roles. The General Data Protection Regulation (GDPR) imposes rules and safeguards on those who hold and process personal data, i.e. data relating to living identifiable individuals. In the interests of being open and fair, the club wishes to inform members of the data held and how it is used. BASOC has always aimed to respect and protect the personal data of all our members, noting that the vast majority of your orienteering relevant data is collected by British Orienteering or Scottish Orienteering and shared with appropriate and approved BASOC members. The BASOC constitution, last revised and approved at the 2018 AGM. Find out what the committee have been talking about.